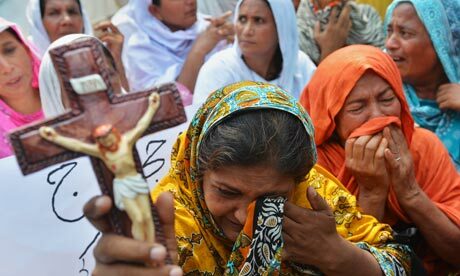 Christians in Peshawar protest after the bomb attack. It is these major incidents that make international news, but a low level of discrimination is a fact of life for many of Pakistan’s religious minorities. Christians make up around 1.6% of the population and number around 2.8 million. Generations ago, in pre-partition India, many were Hindus, subsequently converting from the very lowest caste (of dalit, once known as “untouchable”). Pakistan – a largely Muslim state – does not have a caste system, but its shadow can be seen in the treatment of Christians today. On the same day, I wrote a piece for the New Humanist magazine, recalling my experiences of researching the persecution of religious minorities in Pakistan (a subject I’ve done a lot of work on – notably with this feature from 2011). I also appeared on the BBC World Service radio show World Have Your Say on 24 September, speaking about the attack in Peshawar, the siege of the Westgate mall in Nairobi, and whether there has been a rise in global terror. 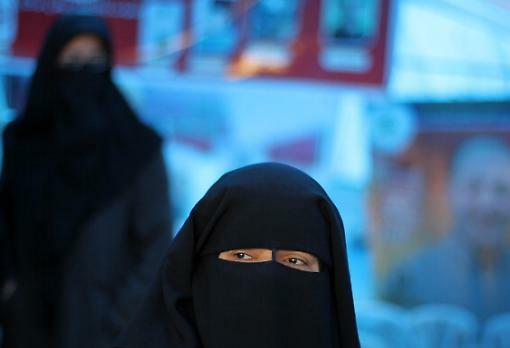 A woman wearing a niqab. I’m back in London, so have been covering some stories outside Pakistan. This weekend, I contributed to the National, the United Arab Emirates’ leading English language newspaper, for the first time. I wrote a short feature about Islamophobia in France, and how the ban on wearing headscarves in state schools has resulted in wider discrimination against women who wear the hijab. You can read the full piece here, and the clipping (linking to the digital edition) is below. A US captain on a tour of Bagram prison in 2009. 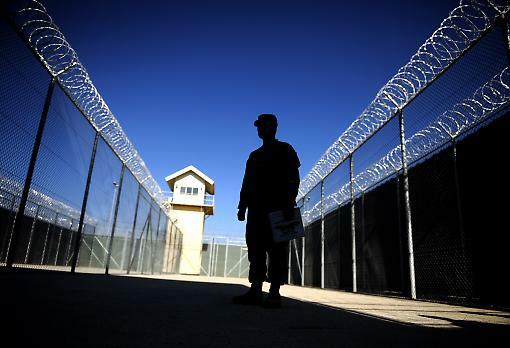 At Bagram prison in Afghanistan, prisoners are kept without charge, trial, or access to a lawyer. On 3 September, I wrote a blog for the New Statesman, The other Guantanamo, asking what will happen to this prison after the US pull-out next year. The main sticking point is the fact that there are more than 60 foreign nationals being held at the prison, who are stuck in a legal black hole, subject to lengthy repatriation negotiations and bureaucratic delays. Ayaz was 15 when he traveled to Afghanistan, from his native Pakistan, to take a job in a restaurant. He had been there a few weeks when American soldiers entered, asked for him by name, and took him away. That was in 2004. It was the start of a six-year nightmare. Ayaz was held first at a military base, and then at the notorious Bagram prison. To this day, he does not understand why he was detained, but believes a co-worker falsely accused him of being a terrorist in exchange for a reward. During his imprisonment, he had little access to justice. “They said that I was a suicide bomber and that I want to bomb the USA,” he said. “I had a representative who was not a lawyer. He would often make my case worse.” In 2011, Ayaz was repatriated to Pakistan. He claims he had been cleared two years earlier, after US officials determined that he was not a combatant and there were no grounds to hold him. I wrote the piece with the help of Justice Project Pakistan, a not-for-profit organisation which is representing some of the Pakistani nationals held at Bagram. 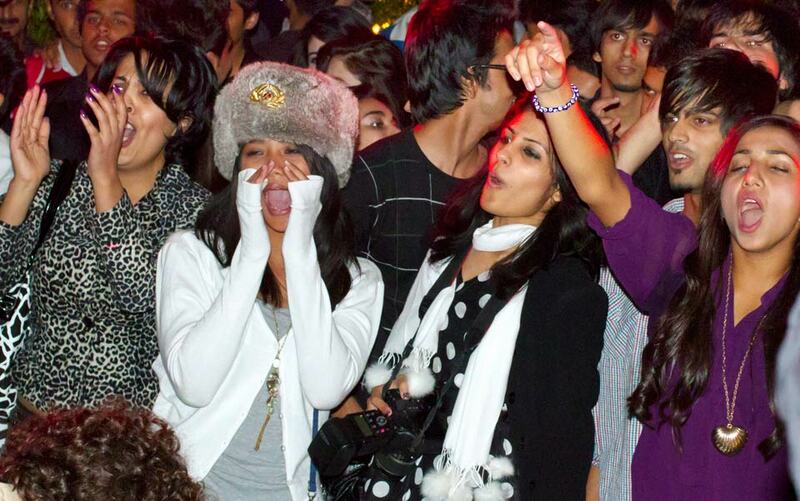 The audience at a rap concert in Islamabad. My long essay for Aeon Magazine was published this week. Aeon is a digital magazine which publishes one long-form piece every day of the week. There’s a really eclectic and interesting mix of content, so you should check it out. My article, titled “Young, free, and Pakistani”, is about the country’s young generation. It’s a broad topic, so I’ve focused on educated, urbanised youth. I spoke to people working in the arts, in social work, and as activists, about their day-to-day lives and their feelings about Pakistan. You can read the full piece (all 4,300 words of it…) over at Aeon.